About: What is Satanism? 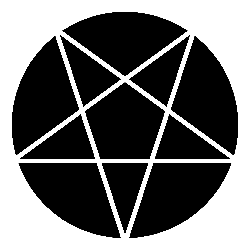 | What Is Satanism? Our content is for entertainment purposes. We would appreciate any conflicting information being pointed out to us. Church of Satan is the authority on Satanism. Please do not assume any information here supplants or amends information provided by Church of Satan. We do not intend to be rivals to Church of Satan. We do not intend to mock Church of Satan. See what Magus Peter H. Gilmore has to say about Myth of the 'Satanic Community' and other Virtual Delusions. Bold and italicized text below is sourced from the link above. Standard text is any response we at What Is Satanism? may have. We wholy agree and believe we have done the job as poignantly and elegantly stated. There is a subtle meta here as our expertise is in interactive media. The maintainers of this site are professionals in their own fields expressing a creative outlet. It is significantly easier to plaster ads on blogs about hot-button political subjects than to even consider using this website as a way to ride Church of Satan's coat tails to success. Please understand that is not our goal.